Kate comes face to face with Joe Jr.
Lulu tells Johnny about her argument with Dante. Luke almost talks his care & feeder into letting him go. The Haunted Star is made ready for its grand reopening. Trey works with his dad to bring down Sonny. Todd reacts to learning Blair will attend Starr’s big debut. Todd makes a promise to Carly in return for her help. Patrick and Emma go to see Anna. Heather refuses to back down. Lulu and Anna receive letters from Luke that Heather forced him to write. Johnny raises the tension between Lulu and Dante. Steve refuses to listen to Olivia. Michael and Starr go public. Dante and Anna work to find Luke. Heather reveals her plans to Luke. Patrick struggles at the re-opening of the Haunted Starr. Carly and Johnny share a passionate night. 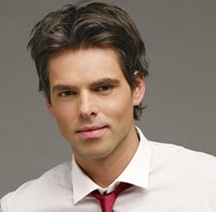 Kate tries to seduce Sonny, but a troubling flashback intervenes. Heather decides to take out Olivia. Patrick is stunned when he thinks he sees Robin. Johnny takes drastic measures to avoid accountability. Luke’s efforts to free himself have near fatal results. Anna gets some stunning information. Ewen tries to measure up to Jason in Elizabeth’s heart.